Becoming a part of St. Lucie Soars is fast and easy! Begin by clicking the button to the right to fill out your initial registration. An intake specialist from Big Brothers Big Sisters will make contact to complete the remaining paperwork and security screenings. The screening process typically takes 5 – 7 business days. Volunteers will be assigned to a single student donating one hour each week which would include travel time and 30 minutes of tutoring with a student. As a St. Lucie Soars volunteer, you are entering an agreement to become a reading mentor through Big Brothers Big Sisters. 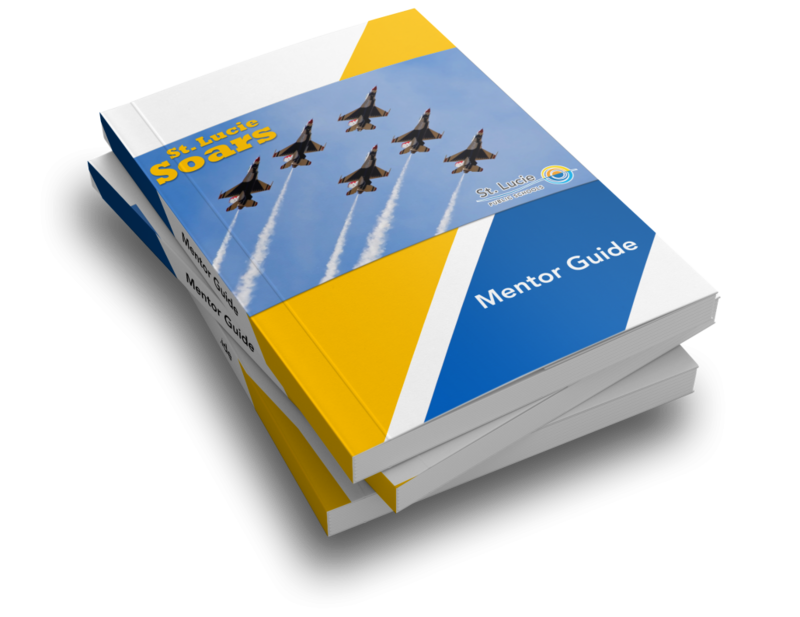 Each volunteer will receive a Mentor’s Guide that has been designed to provide step-by-step instructions for the mentor as he/she works with his/her student. The Guide has suggested activities and time frames to make minimal preparation necessary for the tutoring session. In addition, you will receive monthly contact from a Big Brothers Big Sisters case manager. Take a look at our training video which gives the most in-depth information possible to guide volunteers/mentors through the process. Big Brothers Big Sisters along with the school volunteer coordinator will also be available for support in the process.